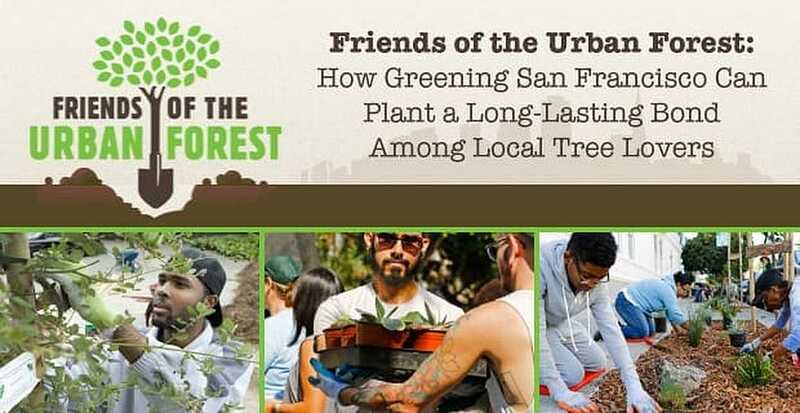 The Short Version: Friends of the Urban Forest (FUF) unites thousands of people in a citywide effort to make San Francisco greener, one tree at a time. Every week, the nonprofit organization runs volunteer-driven programs, including neighborhood tree planting events, to ensure that the local tree population will grow and thrive for generations to come. Since 1981, FUF has planted over 60,000 trees and established a far-reaching network of helpful and friendly environmentalists. From its tree planting events to its tree landscaping programs, FUF fosters a healthy living space for trees as well as people throughout the city. You can get involved with the organization to make a difference in your local community and meet new friends or love interests who share your values. When my great-uncle passed away last summer, everyone in the family traveled to Georgia to pay our respects and honor a long and well-lived life. Standing under a canopy of oak trees outside the church my great-uncle had helped establish in the ‘70s, my mom commented on what an incredible legacy he’d left behind. We were stunned. About 20 trees surrounded and towered over us. They were beautiful guardians over the small church, and it warmed my heart to think of them as saplings in my great-uncle’s hands. Decades ago, he’d planted trees that would give shade, shelter, and joy to others long after he was gone. Those trees stand as a lasting legacy to his boundless compassion and tireless work ethic. Friends of the Urban Forest volunteers have planted thousands of trees in San Francisco. Along the busy streets of San Francisco, Friends of the Urban Forest (FUF) is building an impressive legacy of its own by planting thousands of trees each year. San Francisco currently has over 120,000 street trees, but the nonprofit organization seeks to grow that number and support a healthier living environment in the big city. FUF’s staff members, interns, and volunteers plant over 1,500 trees each year and care for thousands more in a never-ending effort to make the world a little greener. A diverse staff of certified arborists and administrators come together in a common cause to protect and grow the tree population in San Francisco. The field staff lead volunteer tree plantings in neighborhoods twice a month, and each event adds 30 to 40 new trees to the urban forest. The volunteer events offer a great way for environmentalists to give back to the community and meet people who have the same goals and values. In addition to its volunteer work, Friends of the Urban Forest advocates for the welfare of San Francisco’s street trees. In the fall of 2016, the organization pushed for a ballot initiative that would create a dedicated funding stream for a municipal tree care program. Proposition E passed with over 78% of the vote. “Now tree survival should improve, and our urban forests can start to grow a little faster,” Ben said. Whether they’re planting trees in a neighborhood park or fostering new growth in the ballot box, the Friends of the Urban Forest team works hard to ensure that the San Francisco tree population thrives for many years to come. 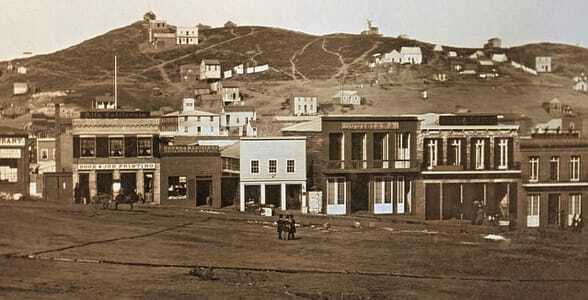 Unlike most of today’s developed cities, San Francisco didn’t have many trees to begin with — it was mostly sand dunes when settlers in 1776 founded the city. Its natural environment is challenging for tree growth because the soil is sandy, the Pacific gives off a salty breeze, and the summers are arid and unforgiving. Friends of the Urban Forest has had to scout around the world, from Italy to Australia, to find tree species that can stand up to such conditions. Its urban tree species directory goes into detail about the different types of trees scattered throughout the city. FUF’s first tree planting event took place on March 7, 1981, in Noe Valley. Five men felt motivated to start the tree planting organization when San Francisco’s board of supervisors cut funding to urban forestry in the late 1970s. The tree plantings became a popular social opportunity to give back and beautify the city streets. Although San Francisco’s tree population started out sparse, Friends of the Urban Forest has helped it sustain a diverse population of 120,000 street trees. A recent citywide tree census identified approximately 40,000 tree-less sites where trees could potentially grow. That gives FUF a blueprint for what it needs to do in the future. By 2030, the organization plans to have planted trees in all those sites. By building San Francisco’s green infrastructure and planting more trees, Friends of the Urban Forest does a lot of good for the city as a whole. Trees provide shade for pedestrians, clean the air, offer a habitat for wildlife, and decrease flooding by capturing stormwater when it rains. 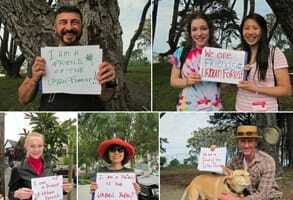 FUF’s tree planting events provide unique social environments for dozens of tree lovers in San Francisco. Everyone goes through an orientation that morning, so all newcomers can learn how to plant a tree and ensure that it will have a long a healthy life. No prior knowledge or experience is necessary. The nonprofit provides all the tools and expertise from tree planting volunteer leaders who have worked with the organization for years. Once the orientation is over, the volunteers divide into smaller crews of about a half dozen people. A lead volunteer will head up each crew and help people plant trees at designated neighborhood sites. Each crew will plant three to five trees in a single afternoon. 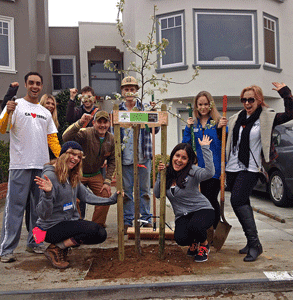 FUF’s tree planting events attract San Francisco residents who want to make the city a greener and friendlier place. When the work is done, the volunteers gather together for a neighborhood potluck lunch thrown by the homeowners in the area. This casual get-together is typically held in someone’s backyard and is the neighborhood’s way of showing their appreciation for the volunteers’ efforts. Everyone there has something in common: They love trees and want to support the local environment. You can check out FUF’s events calendar to find out about upcoming tree planting or tree care events and RSVP online as a volunteer if you want to get involved. While the tree planting is what FUF is most known for, the nonprofit also has programs to maintain the health of the city’s tree population by pruning, watering, and sometimes removing unhealthy trees. The organization’s volunteer-driven programs are perfect for anyone looking for an opportunity to roll up their sleeves and make a difference. Additionally, you can sign up for a free tree tour, led by a certified arborist, and take a comfortable walk through a San Francisco neighborhood and learn more about the trees that have grown there. It’s an interesting way to spend a morning and a great date activity for outdoorsy couples who want to take time to appreciate the green world around them. Friends of the Urban Forest operates on a community model, so it relies heavily on individuals in the community to give their time to the cause of planting and caring for San Francisco’s trees. It’s a volunteer-driven effort that unites people from a variety of backgrounds. On the Friends of the Urban Forest’s Flickr page, you can read dozens of testimonials from volunteers ranging in age from teenagers to seniors. “I like having trees in our city because they provide a peaceful and beautiful break from the hustle and bustle of our lives,” said Grace Swan-Streepy, a local volunteer. Many volunteers show up at a FUF tree planting event as strangers and come away as friends who have accomplished something good together. Outdoorsy folks can enjoy the fresh air and get their hands dirty while working with a team of friendly and active people. It’s a social environment rich with dating opportunities, and Ben said he wouldn’t be surprised to hear that a few dates have sprung up as a result. Anyone interested in protecting the environment can sign up as a volunteer for a Friends of the Urban Forest public event. The people we love root us to this world. Everything branching out from that love — our joys, our accomplishments, our families — adds beauty to our lives and creates a legacy that endures from season to season and from generation to generation. It’s a towering achievement, and it all starts with a single seed and someone, like my great-uncle, kind enough to plant it, nurture it, and watch it grow. San Francisco residents can go to a Friends of the Urban Forest event to make a positive difference in the community and meet people who care about protecting the environment. And who knows? You might plant the seeds of a relationship that’ll last a lifetime. You never know what could grow from one afternoon of goodwill and friendship.